Oswego, N.Y. - The stories of the May 1814 Battle of Oswego, when British land and naval forces conducted an amphibious assault on Fort Ontario and the Village of Oswego, will be told by several noted historians at the Oswego County War of 1812 Symposium Saturday, April 2. The event takes place at the American Foundry, 246 W. Seneca St., from 9 a.m. to 5 p.m. and is sponsored by Friends of Fort Ontario, the Oswego County Tourism Advisory Council, and Fort Ontario State Historic Site with support from the City of Oswego and The Palladium-Times. The seminar will feature five noted historians and is designed to give an overview of the important role that this section of the northern frontier played during the War of 1812. Paul Lear, Historic Site Manager of the Fort Ontario State Historic Site, is chairman of the War of 1812 Bicentennial Committee. "It is a relatively little known fact that the north country was the main theater of action during the War of 1812, and that whichever side, British or American, controlled Lake Ontario would have the advantage in invading either Canada or the United States," said Lear. "The 1814 Battle of Oswego is significant to American history in that vital naval equipment and stores were saved from capture by the British, and after a short delay, forwarded to the American naval base at Sacket&apos;s Harbor. The shipbuilding race on Lake Ontario continued to the end of the war with neither side gaining advantage and building larger and larger ships." Shawn Doyle, president of the Halfshire Historical Society and Oswego County Legislator from the Town of Richland, will give an overview of genealogical research, biographies, and grave sites of local 1812 soldiers. Dr. Gary Gibson of Sackets Harbor will speak on "A Duty Troublesome Beyond Measure: Military and Naval Logistics on the Canadian Frontier." There will be an hour break for lunch, followed by former Post-Standard writer Richard Palmer&apos;s talk on William Cooper&apos;s "Ark." Matt MacVittie, assistant curator of the Onondaga Historical Society Association Museum, will speak on militia and soldiers. 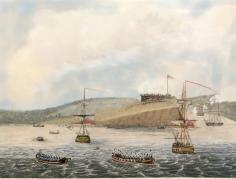 Lear will close the symposium with a discussion of the Battle of Oswego which took place May 5 to 7, 1814. 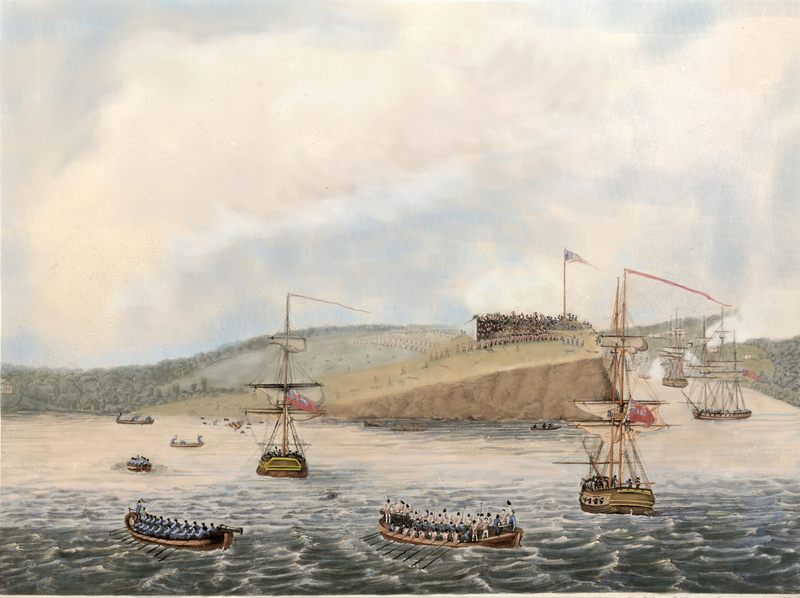 "The Friends of Fort Ontario recognize the importance that Oswego played in the War of 1812," said Charles Harrington, president of Friends of Fort Ontario, Inc. "The speakers at the symposium will provide a great historical perspective as to the war and how we were an important part of that piece of history. We hope that the community will embrace this opportunity to learn more about our fort and its role in American history." A collection of War of 1812 artifacts will be displayed by the Continental Arms Collectors Association. Registration is $25 per person and $15 with valid student ID. The registration fee includes lunch and workshop materials. Advance registration is required. Registrations may be paid by credit card by contacting Fort Ontario State Historic Site, phone 315-343-4711, Monday through Wednesday from 7 a.m. to 2 p.m., or by e-mailing roberta.elmer@oprhp.state.ny.us. Checks should be made payable to Friends of Fort Ontario Inc. and mailed to Fort Ontario State Historic Site, 1 E. Fourth St., Oswego, NY 13126. For accommodations and visitor information, go to http://www.visitoswegocounty.com/ or contact the Oswego County Tourism Office at 315-349-8322. Photo Caption: "Storming Fort Oswego by the 2nd Battalion Royal Marines and a Party of Seamen; 15 past Twelve Noon." By John Hewett. Etched by Robert Havell, London, 1 May 1815. The many aspects of the Battle of Oswego will be discussed at a War of 1812 Symposium April 2 at the American Foundry in Oswego.